Current Events have been really infamous in the United States, from political scandals that could ruin careers, to proposed acts that could either worsen or better America, and the community. Everyone should keep up with current events, it lets people know whats happening in society, and how to better understand it. At our school, people like to express their interest in current events by joining The Stay Woke Club. This club, under the supervision of Mr.Korp, and the president Shaymaa Shukryia, loves to focus on current events, and peaceful activism, incorporating marches, and campaigns with other groups around Pacifica. In an interview with Mr.Korp, he said that the Stay Woke club “almost always” incorporates current events. Current events lets us predict what the future is going to be like. According to Mr.Korp, he likes current events because “it’s the only way to know and to predict what is going to happen to you in the future to you and your peers”. Current events also let us decide who we want to vote for, or whether we like the current people in office or not. Some current events that everyone should stay caught up with is the 2020 election, with 14 democrats, and 2 republicans currently running. As well as climate change. Climate change won’t only affect us, but it will affect future generations who will face more natural disasters than we currently are. Current Events in politics are not the only thing in politics people should keep up with, though. There are also current events in the Bay Area people should keep up with, such as Trump Vs. California, a court case about Undocumented Immigration. Ways of resisting current events are to protest. Protesting is when you go on a march and hold up signs, demanding things change. 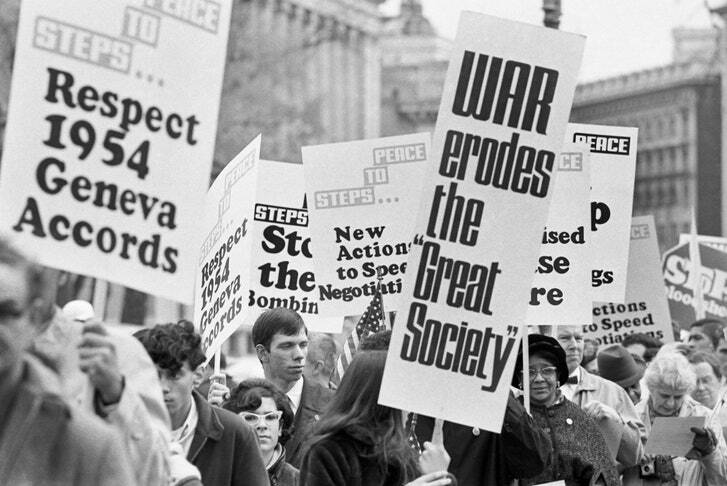 Protesting has been going on for years, some of the more notable protests are the Vietnam war protests, as well as the yearly Women March protests. Current Events are important, They let you know whats happening in the world and they let you have a voice in stuff. If you want to keep up with current events, some reliable news sources are CNN, Fox News, NBC News, among other popular news sites.